So after a couple of weeks you notice that your beefed-up Linux box is running dry on memory. Then you restart the box and the same thing happens again after another couple of weeks. If this sort of thing happened to you, then your system is suffering from a potential memory leak. # This script will check the real memory each process is consuming to determine any memory leaks. 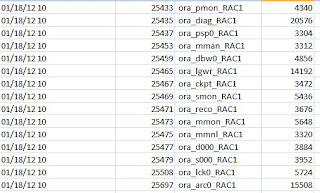 echo "Timestamp (Date Hour), PID, Process Name, Real Memory Used (KB)"
The script is pretty straightforward - it will produce a list of all processes (in the above example, we are listing all processes which have string 'myprocess'). 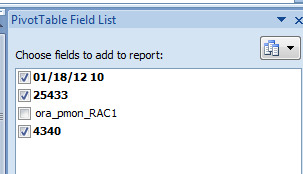 For each process, the memory usage is computed and saved in a csv file. If this script is put in an hourly cronjob, we will end up with a list of processes's memory usage over hourly interval periods. This is the csv file produced by the script. 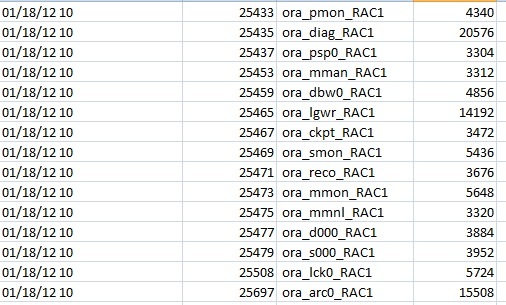 Column 1 shows the timestamp of the sample, column 2 is the process ID, column 3 is the process name and last column shows the real memory usage of the process. 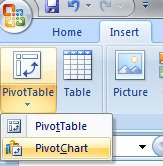 Load the csv in your favorite spreadsheet software and produce a Pivot Chart. Column 1 must be the x-axis, column 2 the Series, and last column should be the y-axis. 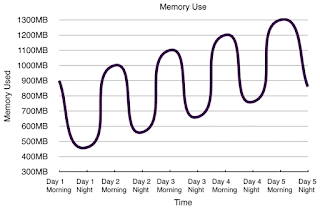 The generated graph will have all the processes memory usage superimposed on each other. 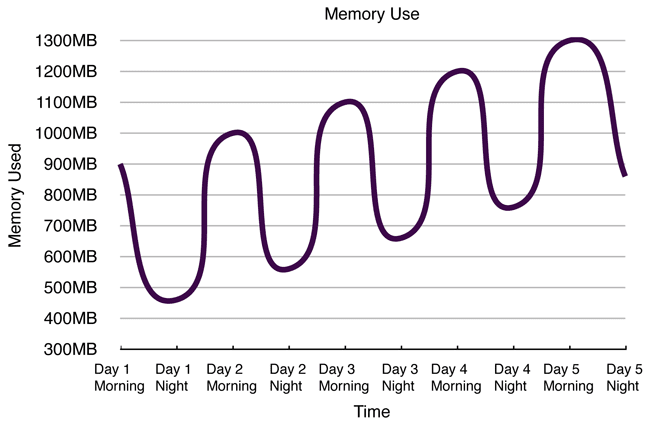 The process which is consuming an ever increasing memory over time might be leaking memory. In this case process 1184 is the culprit! #There been a comma at the end of the pid, filtered out with sed. Works perfect!